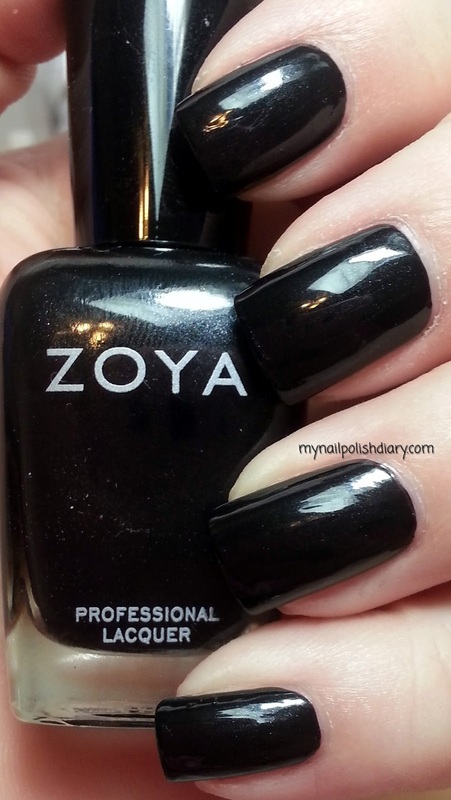 Zoya Raven is, in my opinon, the perfect black. Zoya Raven. I bought Raven when Zoya had their Guilty Pleasures special collection. It has Raven, Purity and Gilty, the 18k gold flake top coat. Zoya Raven is a black creme with very subtle silver shimmer. It's knock out gorgeous. Application and wear are perfect.